A new school year is just around the corner, around the corner of the weekend. The first day of classes is Monday, March 4. This year will be a bit different as I have been assigned to two schools. I will spend 3 days a week at my current school and 2 at the new school. This change comes with its usual bunch of jitters, but I look forward to meeting the new staff, teachers and students. Wolpyeong Middle comes with its own set of changes as three English teachers left and were replaced by three new teachers. I love the new faces, but I shall miss the old ones. Gwangmyeong: While Pastor Kang is visiting with family in the States, Sis. Kim and Bro. Oh, the assistant pastor, have been covering the services. Sis. Kim leaves for deputation in a little less than a month. It shall be a different country without her around. I shall miss having her at church, not just for her translation help. ^^ She will return in a year, prior to the start of Bible school semester. 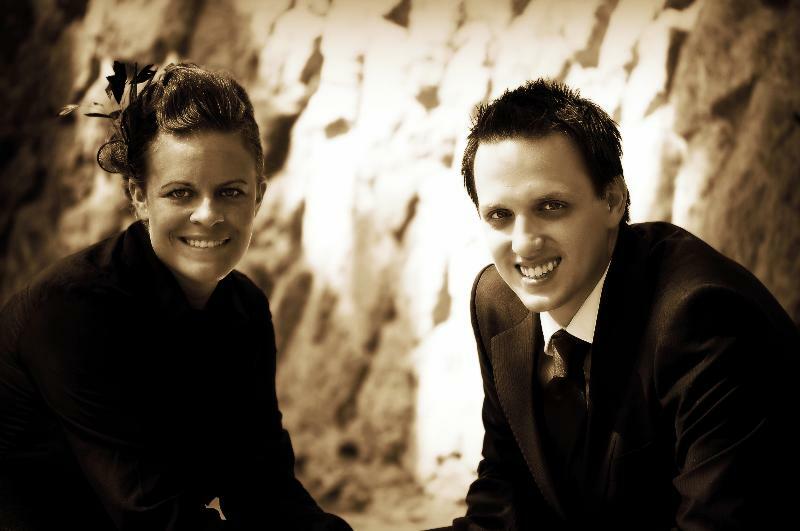 In other news, we have a new(ish) missionary couple, though I have not met them yet. I continue to volunteer at the same orphanage in Daejeon. Some of my kids will be moving on to middle school, so they will no longer be in our Monday night group. One of the girls does exceptionally well in English-to the point of freely seeking out frequent conversation. I hope that continues during the dinner time. I and the other volunteers eat dinner with the kids and staff before our class. I look forward to these weekly classes. I enjoy working with a different age group. With all the changes, I should have more to report in the next few months. Thank you for journeying with me. The best is yet to come! Radio preaching has started in the nation. A new church has been built in a village. Over thirty were baptized in Jesus' name, and five received the baptism of the Holy Spirit. During two revival services, three were baptized in Jesus' name and nine received the baptism of the Holy Spirit. In a local church, there were twenty-seven baptized in Jesus' name and eight received the baptism of the Holy Spirit. 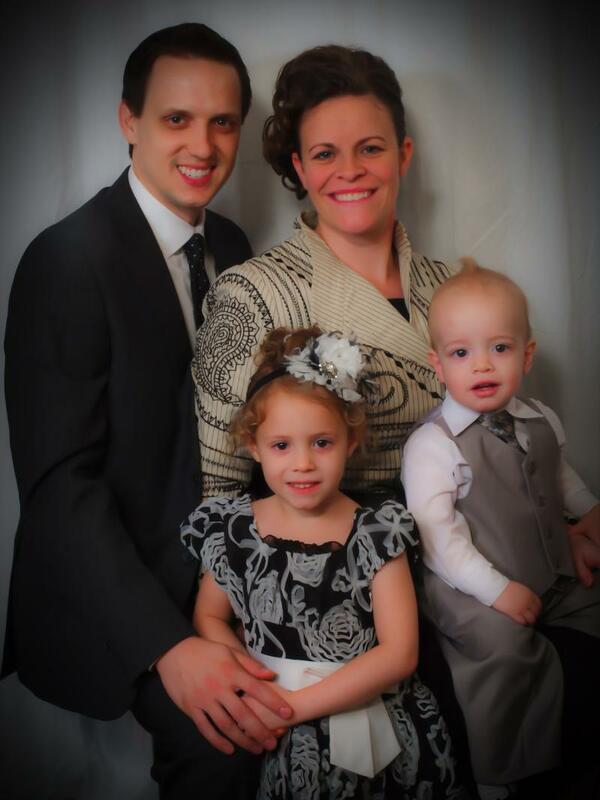 We anticipate the soon arrival of the Missionary Rusty Riddick family to the field. The three night crusade had an attendance of 350-400 with many onlookers from sidewalks, streets, verandas, and hillsides surrounding the grounds. A total of eighty-seven received the baptism of the Holy Spirit, eleven were baptized in Jesus' name, and 128 reported healing. A seminar had 20-30 preachers, pastors, and church leaders in attendance. All the national and local leaders were there, but also a good number of pastors and preachers from other churches. There were two days of teaching, covering apostolic doctrine, evangelism, and leadership. There were twenty-four who received certificates of participation at the end. Two received the baptism of the Holy Spirit at one church. During a time of prayer and fasting, sixteen were baptized in Jesus' name and four received the baptism of the Holy Spirit at one church. An ACTS extension school successfully opened in one region with thirteen students. Over forty representatives from eight West African nations came together for a week of Faculty Education. All were enriched and spiritually strengthened by the timely teachings. Eleven young people who have been coming to church with their parents for years were baptized in Jesus' name. Throughout the country there were twenty-five baptized in Jesus' name, forty-three received the baptism of the Holy Spirit, and ninety-five healed. There were also 370 Bible studies taught. One new preaching point established. Three children have received the baptism of the Holy Spirit. The pastor has spoken to people from a Trinitarian organization about the Oneness of God. Radio preaching has started in the nation with great results. A Bible school has been started. God is doing great things in this nation. One pastor baptized five in Jesus' name including a pastor of a large denominational church. Seven first term Bible school students were baptized in Jesus' name. A pastor's son was abducted and had no contact with his family for one week. The churches in the area joined in prayer for the missing 14 year old boy and for his safe return. It did not seem like a kidnapping for money, since there were no ransom demands. The concern was that the boy was going to be sold to a human trafficking ring, or worse yet, sold to someone who wanted body parts for idol worship. Miraculously, after 7 days, the boys captors let their guard down for a few minutes and the boy escaped into the streets of a city of 14 million people. He was able to get a cell phone and call an older brother who lived in the city. Once his brother was able to locate him, the police took the boy into custody pending further investigation. Much to everyone's relief, the boy returned home to his parents after a 9 day ordeal. We give God all the glory for the unusual way the boy was able to escape. Only God could have orchestrated the events that led to his freedom. God has provided an apartment in the capital city for the Regional missionary's son's family to begin working in this important area. A new church is progressing with two newly converted families. Another church has added one family to their congregation. Two were baptized in Jesus' name in one church. The church ladies are visiting those who have come to the church at least once. One man came asking for further teachings about sound doctrine so that he can also teach others. At an Apostolic seminar, twenty received the baptism of the Holy Spirit, seventeen were baptized in Jesus' name. Three of those baptized were Trinitarian pastors. Arrangements are being made to soon baptize all their church members in Jesus' name. An Apostolic Pentecostal lady from Eretria who is working in Uganda was looking for a church to attend. While walking home from work, she was praying to find a church and saw a group of ladies entering of our churches. She noticed their appearance of holiness and entered saying, "This is the true Apostolic Church!" Truly an Apostolic Identity identifies who and what we are. In the first four weeks of services, the new resident missionaries have seen eight receive the baptism of the Holy Spirit. DARU, a town in the far corner of PNG, is being pioneered by Bro Jack Gene along with his wife and four children. It's the last Province in PNG to be reached. We now have a Church in every Province. Praise God! Bro Jack is doing a wonderful job. Already he has baptised 36 people including two Pastors and 10 of their members in Jesus’ name. He now has 60 people in attendance on a Sunday. Bro Jack needs our prayers and support, as Daru is a very isolated place with no road access to the rest of the country. Bro. Jack Gene baptizing in Daru!! History in the making!! During the weekend of the 17th of November 2012, we celebrated an important event for the Church, a groundbreaking ceremony for the new construction about to commence on the Bible School compound. We are planning to build a new Headquarters, Bible School classrooms, and dormitories complete with kitchen, washing facilities, and plumbed restrooms!! Everyone was very excited to participate in the groundbreaking ceremony. We were privileged to have the Lord Mayor of Goroka, Mr Bin Hulotove, and many more VIP Guests who attended our special day. After the ceremony, we ate a fabulous feast comprising of 12 pigs and much more! All of our ministers from around the country were in attendance and were all amazed and overjoyed!!! Youth Camp 2013: It was the first time for the PNG Youth to have a Camp - where they slept, ate and worshipped together in one place. The Youth loved the idea, which broke down Regional boundaries and forged a bond of friendship between the Youth never seen before. It was a great success, with over 1000 youth staying on campus. It was a huge undertaking, with PNG presenting some unusual challenges which can be likened to an administrative nightmare! In spite of this, we are happy to report the Lord had His way. There were 106 Youth baptised in Jesus Name, 101 filled with the Holy Ghost and 10 reported healings...Praise God!! There was such a powerful move of God it was awesome. Bro and Sis Carver did a wonderful job with the morning teaching sessions, and Bro Tevita Paitadra (General Youth Director of Fiji) preached in the evening. All the Youth were blessed and left extremely happy. This is the first time that they have had a conference with only Youth in attendance and targeted to their age group and needs. We also had a bonfire, drama night, and sunrise service; all firsts for PNG. Everyone left on Monday morning very excited and determined to do more or Jesus in 2013! Strength and wisdom as we begin the new Bible School construction! It was great to be a part of the European Youth Congress in Holland this past December. There were many youth that came from across Europe to receive teaching and preaching that prepared them to impact their nations. The power of God was manifested in every service, and the Lord confirmed his word with signs following. Here is a short clip showing the European Youth Congress. We left the deputation trail over the Christmas Holidays to be with our church in Barcelona. It was great to a part of the Christmas Concert in our church that AIMers David & Andrea Nutt directed. While we were home in Spain, we rejoiced with 4 that were baptized in the name of Jesus. Here is a short clip showing our Christmas Concert. We are asking each one of you to PARTNER WITH US IN PRAYER as we follow the call of God in our new responsibility as Paciﬁc Regional Director. Outstanding worship with nearly 1,000 in attendance! Dozens received the Holy Spirit during this powerful Conference! Goals were set to open new works across the nation! 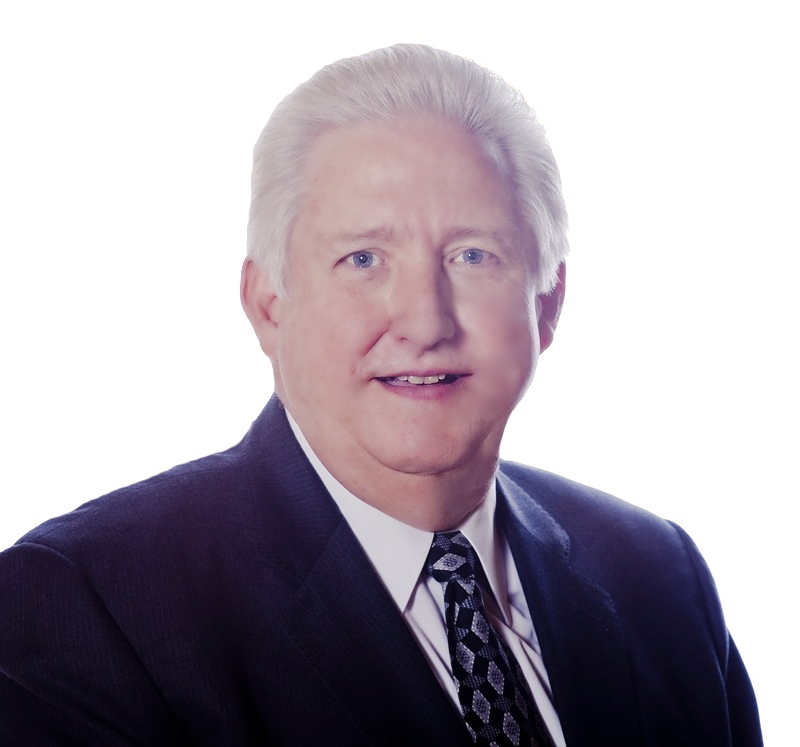 Our prayers are with UPCA and Brother and Sister John Downs, Superintendent! Missionary Richard and Andrea Carver, Jr report the 2013 PNG Youth Camp was a HUGE success with over 1,000 youth attending! 101 received the Holy Spirit ~ 106 baptized in Jesus’ Name (above photo) ~ Multiple healings reported! Missionary Dave Dibble reports the very ﬁrst ever Preserving Christian Homes Marriage Retreat on Guam with Brother and Sister Mark Parker a triumph! 8 nationalities present & 25 couples! Happy New Year from Madagascar! Who would have ever thought that we would see the year 2013. We have determined that we are going to improve our communication with our partners and supporters this year. We want to take full advantage of the technology that is available to us in order to keep you as up to date as possible with what Jesus is doing through our ministry and in our field of labor. We are excited to share with you what is happening on our side of the world. You have faithfully partnered with us and we love sharing what God is doing here on our great island. 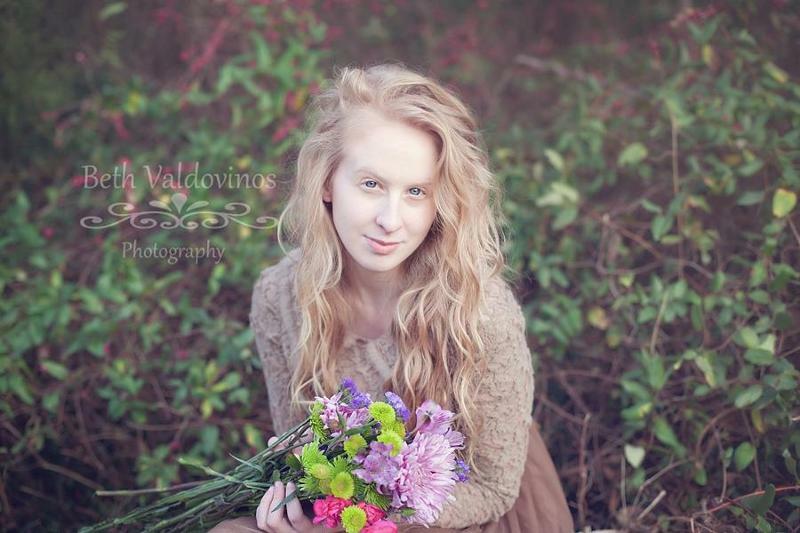 Here are a couple pictures for your viewing pleasure. PICTURED ABOVE: Leaders from the Central Region praying for their Regional Presbyter, Bro. Gilbert. 2013 started off with special sessions for all of our leaders. National leaders, district leaders, and divisional leaders all gathered to make their plans and budgets for the year 2013. We also had sessions of prayer and teaching, with a special time of taking communion together. We are blessed to work with such a great team! PICTURED ABOVE: National Superintendent, Bro. David, leading the minsters and wives in an opening prayer for the Preachers Conference. The next week was our annual January Preachers Conference. Ministers and wives gathered from all over the island, and we had a wonderful time together. The Word of God was preached and taught, and we left uplifted and renewed, with a fresh vision and burden to reach this island with the gospel of Jesus Christ! 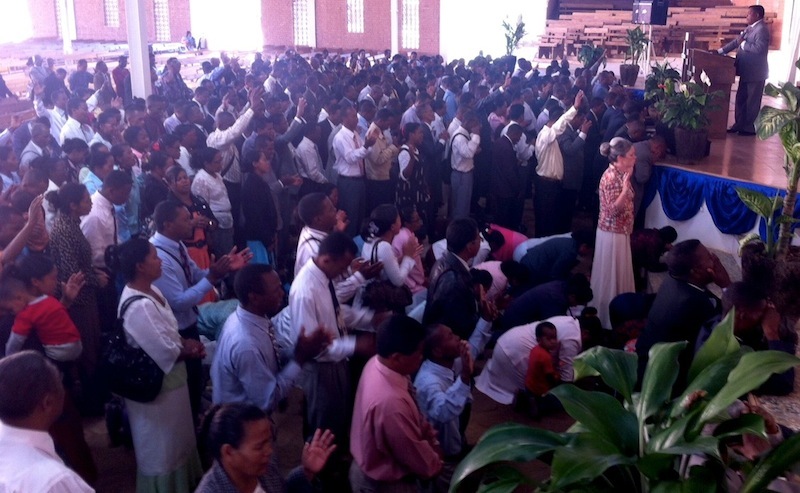 We are happy to report that revival continues in Madagascar. While we are still waiting for the 2012 reports to make their way in from around the country, we believe that 2012 will be even greater for the United Pentecostal Church of Madagascar than the record-breaking year of 2011. We now have over 800 churches and licensed ministers. 2011 saw over 27,000 filled with the Holy Ghost across the island, and our expectations are high as we await the final count for 2012. God is doing great things! We want to thank you so much for your faithful prayers and financial support! We are so honored to be your extension to the other side of the world. CAMEROON - At a convention of a new group applying for affiliation with our church, nineteen were baptized in Jesus' name and six received the baptism of the Holy Spirit. Three students graduated from the UPC College of Theology. We are excited for the beginning of a short term Bible School on Feb. 9 in Yaounde. We already have 19 students registered from one group, and we are expecting more to be registered during our upcoming French minister's meeting. Exciting days ahead for this Bible School Class. EQUATORIAL GUINEA - Please join us in praying for our upcoming crusade. We are anticipating a great turnout and praying for a great outpouring of the Holy Ghost and to see God confirm His Word with signs and wonders. Pray for the safe arrival of Rev. Elias Limones and his team from the USA, and for our Area Coordinator, Rev. & Sis. Adams as they travel to Malabo. Praise Report - Four were baptized in Jesus' name and five received the Holy Spirit. 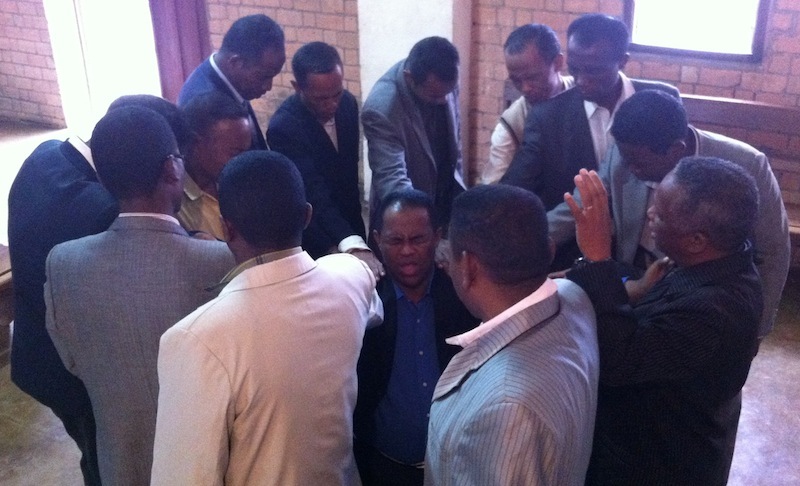 KENYA - Pray for revival and that our pastors will be burdened and join in unity to support the home missionary program. 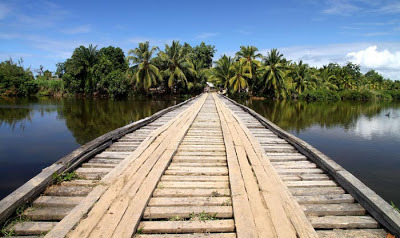 Also pray that God will open for us a door to reach Kwale town in the Coast Region. Praise Report - On January 20th in one church two were baptized in Jesus' Name and there were four reported healings during the month. To Jesus be the praise. Special prayer request from Missionary Crumpacker: Due to what happened during the last election in Kenya, we request prayer for this nation leading up to, during the voting, and after the results are announced. The election is March 4th. LIBERIA - Please join us to pray that the National ladies can raise the necessary financial support in order for them to complete their project of a Medical Clinic. National Conference is always a very important time for the UPCL. We are praying for a large number in attendance and also for a great graduation of our current Bible School students. Pray for the safe return of our missionaries, Bro. & Sis. Stewart, and for our Conference speakers from the States. Praise Reports - We thank God that for all those who are being saved through revivals, prayer vigils, and regular worship services throughout the country. One of our preachers ministered during a crusade in a local community and a lady who was sick for seven months came to the crusade and received her healing. In our health center, a baby was delivered, but showed no real evidence of life, just very weak. But after two days, it began responding and crying. We believe it was a miracle that transported this baby from death to life. MAURITIUS- We are praying for a Revival of Truth in Upper Plaine Wilhems. Pray for Pastor Gervais as he is need of healing. Finally, pray for the twelve Bible School Students who are in their first-year studies in Rodrigues. MOZAMBIQUE - We are praising Jesus for the commencement of the building of our church in Maputo, the Capital of Mozambique. Pray for us as we accomplish this great feat for the furtherance of His Kingdom. SENEGAL - Pray for our safe travels for Missionary Sully and family as they arrive on location. AIMer Jessica Doucet will also be traveling with them. Pray for open doors and guidance from above as they seek to find a way to open up a new work. SWAZILAND - We praise God for the uprecedented revivals accompanied by wonders and miracles taking place in Swaziland. The church in Mbabane together with its Sister Church at Ezulwini have just completed a 21-day season of prayer and fasting, during which close to 20 people turned their lives to the Lord. Of these 13 were baptized in the Name of Jesus, and 12 received the Holy Spirit. During the recent crusade at Mhlatane, seven people repented of their sins. Also, reports of four people received miraculous healing, two of them at Maseyisini inthe southern part of the country. These two had been booked for operations, but after being prayed for, they returned to their doctors to be operated on and to the amazement of their doctors, they found nothing wrong with their patients and sent them back home. In another area, a group of young people traveled to Siteki in the east of the countryfor an outreach program. As they were preparing to return to Mbabane at the end of their assignment, a woman who was deaf and mute asked for a ride in their car. Along the way, the group was praying and praising God. When they reached Manzini half way to Mbabane the woman was able to hear with one ear. But after more prayer both ears had been unstopped and she could also speak. Another woman who could not speak began to speak after being prayed for by one of the young people in Mbabane. We thank God for what He is doing in His church. ZIMBABWE - Bible College has been closed because we are not registered with the Government. Papers are being submitted and the school will have to pay $500.00 a year for this registration. Meanwhile, classes will be suspended until everything is completed. I want to encourage you to continue to pray for the Target Countries. The Africa region continues to see progress and growth and I know much of this is because of our combined prayer efforts. With this in mind I bring the need for focused prayer be made for the Target Nations. We need to make intentional plans to reach into these nations. Willing men are needed as doors are opened and opportunities become available. Please put this list in a place that you see it and pray for these countries often. Greetings to you from Geneva in Jesus’ name!! We have had great services, a number of visitors, church members stepping up their commitment to the Lord and to the church, and people receiving the Holy Ghost! At the end of October, we had our first regional Elisha Conference for ministers and leaders in Munich, Germany. There was a great spirit of unity, fellowship, worship and impartation amongst ministers from Germany, Austria, and Switzerland! Afterwards we held our first service in Munich, where one young woman was renewed in the Holy Ghost and baptized a week later! Sister Amber Hackenbruch is back with us in Geneva and has been helping tremendously with visitor followup, Bible studies and worship during service. She has been the start of a shift in Geneva, where we have now equipped ourselves to accommodate more AIM workers with a dedicated apartment, to save costs compared to hotels. We had a great Friends’ Day service in December, with 45 in attendance, many visitors, and Brother Thomas Kouadio and his wife ministered in word and in worship—3 received the Holy Ghost! We have had many continued contacts since then. Brother Vicente Mestre and his family have been holding weekly Spanish services and Home Bible Studies in Lausanne, Switzerland. Vistors continue to come, and several people have been baptized in Jesus name in that city! We are very excited!! Brother Charles Robinette taught a “Leadership with Purpose” workshop in Geneva, speaking to future leaders in the church, underlining commitment. We are now planning the 2013 Apostolic Ministry Training Center session from March 8-18 in Germany. We have 13 teachers joining us for intensive training, fellowship, worship, and outreach! Strongly founded leaders in Geneva! More cost-effective meeting place in Geneva! Effective city outreach initiatives in Geneva and Lausanne! Good, consistent meeting place in Lausanne! Incoming AIM workers supporting Geneva! Effective Bible Studies, leading to saints rooted in the church! We have started the year with a Bang! God has been so good; we have a full schedule for the year and look forward to what God has in store. We ask that you pray for our family as we travel this year over many miles that God will keep his hand of protection upon us. We need to raise our complete budget so that we can return home. God is ABLE! We have so much work to do, to reach this beautiful island and its people.. the "fields are ripe and ready for harvest"
God is doing miraculous things! 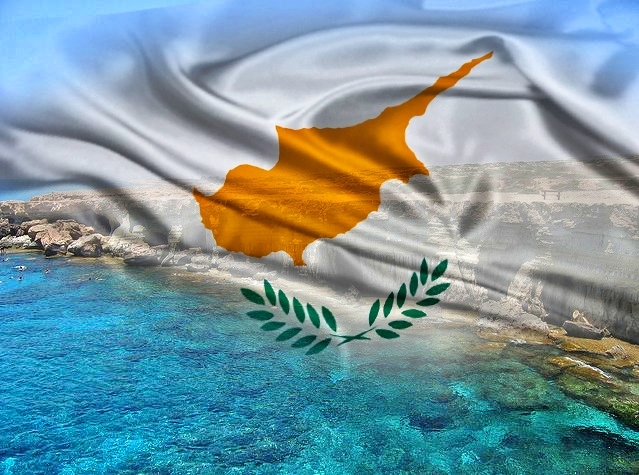 This is a church praying over the flag of Cyprus. God has promised to go before us, and he is opening eyes that have been closed to truth! 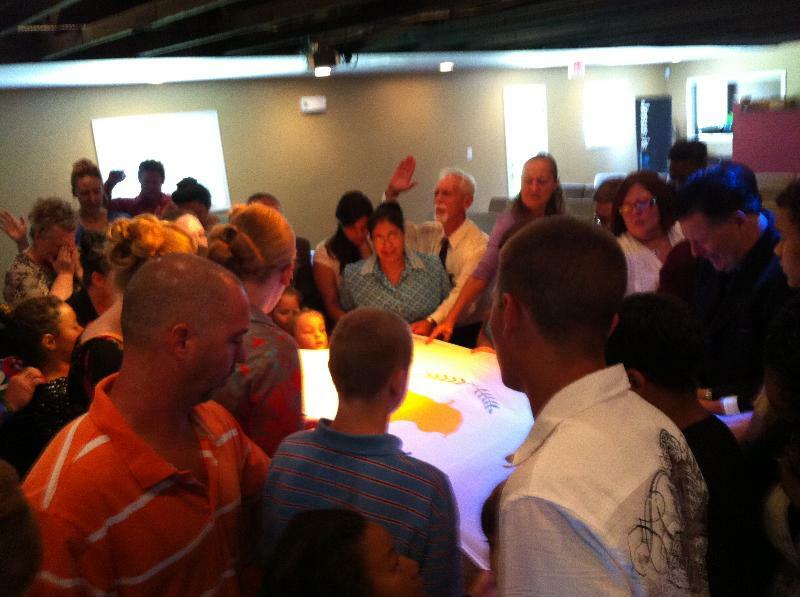 We are also seeing people receive the Holy Ghost, and miracles throughout our travels! Exciting time to be serving the Lord! Since our departure from Cyprus in 2010, there have been many changes in the church. Leaders contracts were up, and they had to leave the country. Through it all, God had been faithful. We are now faced with the same problem once again; it is time for our leaders to depart. WE NEED TO RETURN. This is a pioneer work, and we are the first resident missionaries to be appointed to this country. If you feel to help, you may call or email and we will be happy to tell you how! Thank you for your support; we love and appreciate each of you. We pray that God bless you tremendously for your sacrifice and giving for the Global Mission! At a convention of a new group applying for affiliation with our church, nineteen were baptized in Jesus' name and six received the baptism of the Holy Spirit. Three students graduated from the UPC College of Theology. In the midst of the rebellion and displacement of people, six were baptized in Jesus' name. There is revival in the midst of chaos. During a thanksgiving service, there were 264 in attendance, four were baptized in Jesus' name and five received the baptism of the Holy Spirit. There were four baptized in Jesus' name, and two received the baptism of the Holy Spirit. A new church plant has already baptized six in Jesus' name. A new radio ministry has yielded three converts who were all baptized in Jesus' name. The National Ladies Retreat had over 600 in attendance, and ten received the baptism of the Holy Spirit. Throughout the country a total of 238 were baptized in Jesus' name, 140 received the baptism of the Holy Spirit, and 150 reported healings. A total of 173 Bible studies were taught, and forty backsliders were restored. Seven new preaching points have been established. The children's ministry department in one district had twelve children who received the baptism of the Holy Spirit and fifteen were baptized in Jesus' name. During two village services, five adults received the baptism of the Holy Spirit and one reported healing. There was a wonderful watch night service with communion at the headquarters church. Many were touched by the sovereignty of the Lord and are believing that 2013 will be another year of great harvest. We praise the Lord for a church that is being built. One Bible school student baptized eighteen in Jesus' name, and seventeen received the baptism of the Holy Spirit. A December Bible school graduate has only been in his new station for three weeks and has already baptized eighteen in Jesus' name. The National Treasurer just re-baptized seven people, including four pastors from another fellowship, in Jesus' name. Over the Christmas break, one student prayed seven people through to the baptism of the Holy Spirit. 2012 ended with a great program in which all the churches participated. 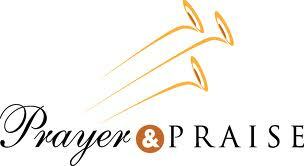 In 2013, the first day of each month will be a special prayer time at the central church. The evidence of these meetings is souls determined to do more in the Lord's service. National Conference had over 1000 in attendance, and twenty-seven new people received the baptism of the Holy Spirit. Also, many were delivered from demons. Twelve Bible School students graduated, and four ministry couples were ordained. One man testified that he had been in the hospital with no results for several months after being paralyzed on one side. He said he was an idol worshipper but decided he would try this God who heals. He was healed at National Conference and was leaping and praising God. The National Secretary's sister has been ill for many years and was told she would need a very expensive operation. She persistently prayed until she was completely healed. A deacon testified that, when he was young, he was always drunk and his wife threatened to leave him several times. But one day he had an encounter with someone who knew about The Deliverer, and in 1973, he was baptized in Jesus' name. The deacon and his wife are celebrating forty years of freedom and truth. A young man from a village came to church leaning on a crutch. He was healed and left the crutch at the altar. At a local crusade, four received the baptism of the Holy Spirit and seven were delivered from demons. In two seminars seventy-five received the baptism of the Holy Spirit and three Trinitarian pastors where baptized in Jesus' name. There were 2,437 in attendance at the National Prayer Conference, and six received the baptism of the Holy Spirit during this time of powerful prayer, anointed singing, and anointed messages. An exciting point of interest - Quiz Team Zambia took first place at the Sub-Regional International Quiz Tournament. God bless the team for their sacrifice and study of His Word. We are asking for focused prayer for Eretria, Comoro Islands, Mali, and The Gambia. We need to reach these nations. Willing men are needed to go as doors are opened and opportunities become available.